Brittnay Nicole @Style SS18 - Images | mod23photo. 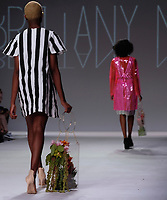 Brittnay Nicole @Style Fashion Week during NYFW at The Intrepid Sea, Air & Space Museum in New York City. Models walking the runwway.